LA County Arts Commission’s Annual Arts Summit for students participating in the LA County Arts Internships Program. Photo by Diandra Jay / Board of Supervisors. Los Angeles County is reaping the rewards of a renewed focus on the arts. Community Chandelier at Stoneview Nature Center. Photo by Fallen Fruit. Two of the County’s civic art projects in the Second District have been recognized by the Americans for the Arts as outstanding public art projects created in 2017. 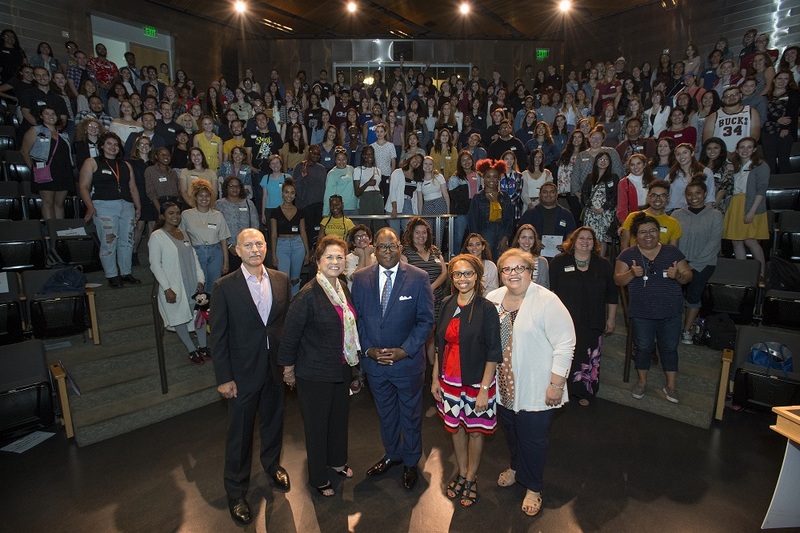 Meanwhile, the County’s Arts Internship Program is providing 179 university and community college students with meaningful experience in nonprofit arts organizations this summer – its largest class ever. “It’s important that we create an environment that fosters creativity because this offers a range of benefits for individuals and communities, besides being an economic powerhouse,” said Supervisor Mark Ridley-Thomas, lead author of a recent motion to create the County’s first ever Department of the Arts, as well as another motion nearly a decade ago that saved the Arts Internship Program from elimination during an economic downturn. The latest Otis Report on the Creative Economy estimated the County’s creative economy generated $178 billion in economic output in 2016, directly employed more than a tenth of all private sector workers countywide, and supported close to a fifth of all jobs countywide. Taiko Drummers perform at the Japanese American National Museum during the LA County Arts Commission’s Annual Arts Summit. Photo by Diandra Jay / Board of Supervisors. 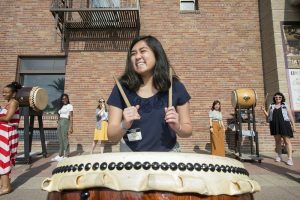 “Arts and culture in Los Angeles County are vibrant and growing at a phenomenal pace,” said Kristin Sakoda, executive director of the County’s Arts Commission, whose profile will be raised by the creation of the Department of the Arts. She committed to further “increasing access to opportunity in the arts and expanding career pathways into the creative sector” through programs such as the Arts Internship Program. This summer’s 179 interns – a quarter of them from community colleges – will participate in paid internships at 127 nonprofit performing, presenting and literary arts organizations. Since its inception, more than 2,000 young people have completed the internships. Sakoda noted the County’s deep pool of talent has not gone unnoticed. Americans for the Arts, the nation’s leading nonprofit organization for advancing the arts and arts education, has recognized civic art projects in the County four years in a row through the Public Art Network Year in Review program. Original Watercolor painting by Sandy Rodriguez for the Martin Luther King Junior, Recuperative Care Center Project. Photo by Audrey Chan. This year’s honorees include the Artist-in-Residence project at the Martin Luther King, Jr. Recuperative Care Center (MLK RCC) in Willowbrook. Visual artist Sandy Rodriguez enabled patients and staff to create artwork to adorn the walls of the MLK RCC, and developed a program to help support homeless patients’ transition into housing. “This project demonstrates ways in which creativity can be part of the healing process,” she said. Civic artwork at the Stoneview Nature Center. Photo courtesy of Fallen Fruit. Also among the honorees was the civic artwork at the Stoneview Nature Center in Culver City. David Burns and Austin Young, who constitute the artist group, Fallen Fruit, held community meetings and then created artwork in the lobby that includes quotations from local residents, personal photos, family portraits and historic images. They also created a garden of “living sculptures” that feature different species of fruit trees and California native plants.